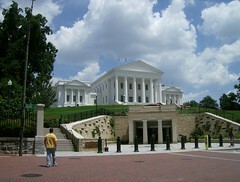 Virginia experienced a large increase in tourism revenue and subsequent industry employment over 2011. The state topped more than $20 billion last year, which marks an eight percent increase over 2010 statistics, and employment numbers increased nearly two percent. Some of the reason for the state&apos;s boom comes from its drive markets, as 60 percent of the U.S. population lives within a day&apos;s drive of Virginia. Findings from the U.S. Travel Association indicate that visitors are frequently driving from their homes that are more than 50 miles away from the destinations. As Simpleview works with many Virginia-based destination marketing organizations, we are excited about the increased interest in the state&apos;s events and attractions.